Dr. Bradley Noel examines how to discover the call of God and live it out. Dr. Noel comes to Tyndale having served at Acadia University, Vanguard College, and Master's College and Seminary, where he created a variety of live and online courses. He is ordained with the Pentecostal Assemblies of Newfoundland and Labrador where he is heavily involved with discipleship and youth. Dr. Noel completed his Doctor of Theology at the University of South Africa in 2008, and in 2014 earned his Doctor of Ministry from Acadia University. 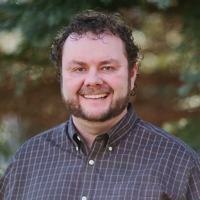 He is the author of Pentecostal and Postmodern Hermeneutics (Wipf & Stock, 2010); and Pentecostalism, Secularism, and Post-Christendom (Wipf & Stock, 2015).